Ahmedabad-based Salebhai Internet Pvt Ltd, which runs an e-commerce marketplace for sweets, eatables, handicrafts and pooja items, has secured an undisclosed amount of funding from a group of high net worth individuals and customers. Some of the investors who participated in this round include Hungama's vice president Virendra Shekhawat, Malaysian bank CIMB's director Deepak Chokhani and Australian firm Instani's promoter Yogesh Patel. Purba Kalita, one of the co-founders of the startup, confirmed the investment to Techcircle. Nearly 10 investors, which include include senior executives from ICICI Bank, SBI, Microsoft and Godrej, have put in between Rs 5 lakh and Rs 1 crore in the startup. Salebhai was founded last year by Purba, Vishwavijay Singh, Pramod Rao, Gopal Shukla, and Anand Prakash Varani. Purba has worked with Flipkart and media house Bennett, Coleman & Co. Ltd prior to founding the startup. Singh has previously worked with Airtel, Nerolac and ICICI Lombard and has more than a decade's experience in sales and marketing. Rao is a software professional who has earlier worked with Polaris and Expedite Solutions in 2007. Shukla has over eight years of experience in channel development and management and has worked with companies such as Nerolac Paints and ICICI. Varani has over 20 years of experience in finance and has worked with Airtel and Axis Bank before. Salebhai specialises in providing customers with articles sourced from specific regions. 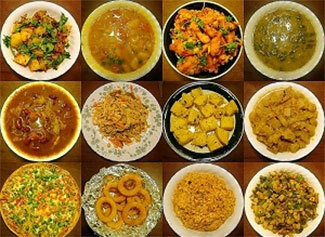 The portal currently delivers food specialities (sweets, namkeen, chocolates, bakery, spices, pickles, beverages, etc. ), handicrafts, handloom products, herbal items, and organic wellness products from across the country. In a similar space, Bangalore-based Sumiran Spiritual Services Pvt Ltd, the company behind OnlinePrasad.com, a platform that offers prasad (offerings to god) on behalf of users at temples of their choice and then delivers it to their homes, had raised an undisclosed amount in its pre-Series A round of funding led by Hyderabad Angels, with participation from Chennai Angels and a few other individuals, in 2014.